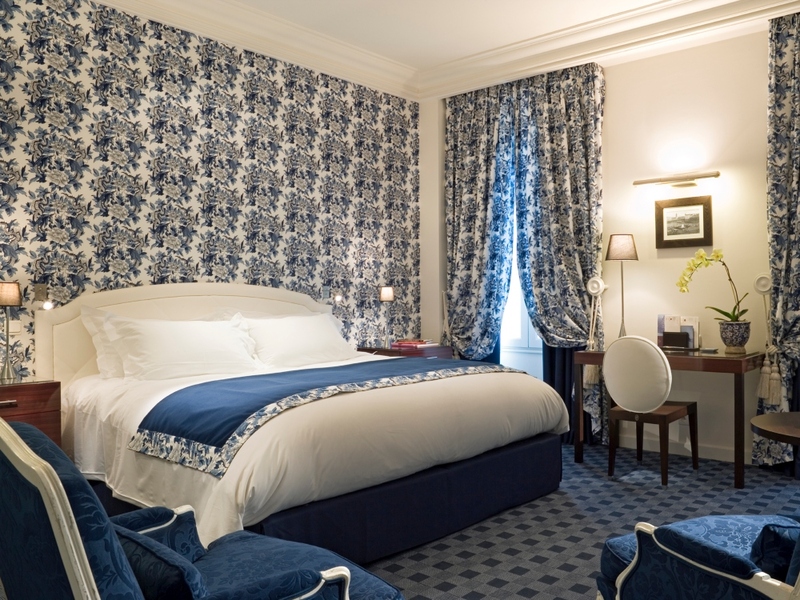 A unique 5* hotel on the Place Bellecour, the Hotel Le Royal Lyon MGallery by Sofitel (External link) welcomes its guests to the heart of the Lyon Presqu'île district, between the Rhône and the Saône. Le Royal is a luxury hotel with 72 rooms, including 10 suites, combining tradition with modernity. Its classic décor creates an immediate impression of comfort and calm. Côté Cuisine, Côté Bellecour and “L’Institut” restaurant all invite their guests to explore their food and dining experiences, the French Art of Entertaining. Le Royal is a grand family residence and, like all residences, the kitchen is at its heart: the living space where everything starts at 6.30 a.m. with breakfast. You are greeted with orange juice and coffee and then invited to help yourself, as you wish… to fruit salad, Renée Richard dairy products, pastries and other home-made cakes, not forgetting our signature product, eggs from Dombes freshly cooked while you wait. From floor to ceiling, a quiet refined space that is open all day with a magnificent view over the Place Bellecour. In the evening, our Head Barman will serve you a selection of cocktails, wines and champagnes. Our spacious rooms have a view over the Place Bellecour, the Place Antonin Poncet or our courtyard. There are two different colour combinations. Covered in red or blue Toile de Jouy print, the Ligne Roset contemporary furniture contrasts with the Gilles Nouailhac armchairs and bergères, which are designed for you to sit and relax or read. Peace and quiet in rooms decorated with Pierre Frey or Ralph Lauren fabrics.